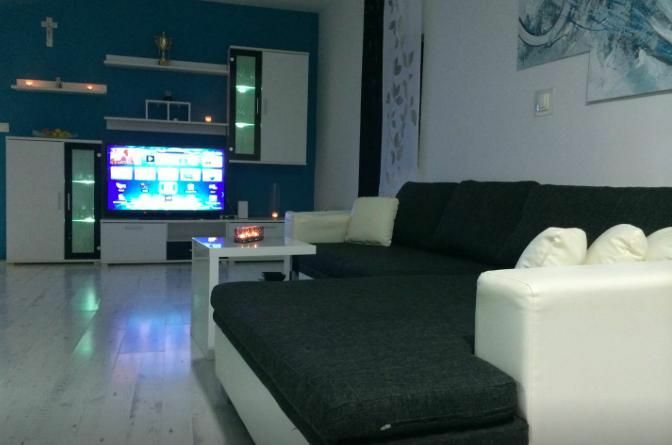 This modern apartment is located in center of Vinkovci with free parking in front of building. It has one bedroom with double bed king size. Kitchen is fully equipment and it has even dish washer. Living room has pull-out sofa, big flat TV, a lot of programs, Apple TV.. In bathroom is shower and you have washing machine with iron available. There is also working place with Apple Display, mouse, keyboard and printer with scanner.